Issued as insert with what product: Cigarettes - cards were cut off the cigarette boxes. Notes: Cards are blank-backed. These cards came one card to a box of 10 cigarettes or two cards on each box of 20 cigarettes. For 20 cigarette boxes, pairs were 1-18, 2-5, 3-9, 4-13, 6-11, 7-15, 8-30, 10-19, 12-16, 14-20, 17-25, 21-38, 22-50, 23-48, 24-27, 26-39, 28-45, 29-47, 31-35, 32-49, 33-40, 34-43, 36-41, 37-44, 42-46. 1. Charles Laughton in "The Private Life of Henry VIII"
2. James Cagney in "Yankee Doodle Dandy"
3. Jeannette MacDonald in "Naughty Marietta"
4. Alan Ladd in "Whispering Smith"
5. Joan Crawford in "Mildred Pierce"
6. Deanna Durbin in "Up in Central Park"
7. Lionel Barrymore in "Doctor Gillespie"
8. Danny Kaye in "Happytimes"
9. Robert Taylor in "A Yank at Oxford"
10. Margaret O'Brien in "The Unfinished Dance"
11. William Bendix in "A Yankee at King Arthur's Court"
12. Errol Flynn in "The Adventures of Robin Hood"
13. Myrna Loy in "The Thin Man Goes Home"
14. Gary Cooper in "The Lives of a Bengal Lancer"
15. Katherine Hepburn in "Song of Love"
16. Marlene Dietrich in "Golden Earrings"
17. William Powell in "Life With Father"
18. Jane Wyman in "Johnny Belinda"
19. Humphrey Bogart in "The Treasure of the Sierra Madre"
20. Dorothy Lamour in "Road to Utopia"
21. Bob Hope in "The Paleface"
22. Anton Walbrook in "The Queen of Spades"
23. Greer Garson in "Julia Misbehaves"
24. Edward G. Robinson in "Key Largo"
25. David Niven in "Enchantment"
26. Jack Hawkins in "Bonnie Prince Charlie"
27. Christine Norden in "An Ideal Husband"
28. Bing Crosby in "The Emperor Waltz"
29. Kieron Moore in "A Man About the House"
30. Judy Garland in "Easter Parade"
31. Spencer Tracy in "Northwest Passage"
32. Paulette Goddard in "Bride of Vengeance"
33. Barbara Stanwyck in "Sorry Wrong Number"
34. Clark Gable in "Gone With the Wind"
35. Betty Hutton in "Dream Girl"
36. Hector Ross in "Bonnie Prince Charlie"
37. Robert Donat in "The Winslow Boy"
38. Frank Sinatra in "The Kissing Bandit"
39. Glynis Johns in "An Ideal Husband"
40. Fred Astaire in "Holiday Inn"
41. Henry Fonda in "Fort Apache"
42. Gene Kelly in "The Three Musketeers"
43. Phyllis Calvert in "The Golden Madonna"
44. 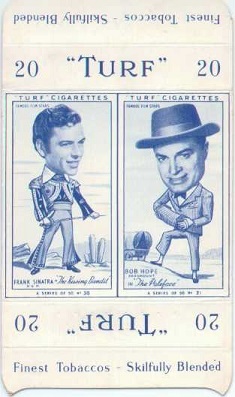 Charles Boyer in "The Murder in Thornton Square"
45. Rhonda Fleming in "Adventure Island"
46. Walter Pidgeon in "Mrs. Miniver"
47. Margaret Leighton in "Bonnie Prince Charlie"
48. Michael Denison in "My Brother Jonathan"
49. Gregory Peck in "The Yearling"
50. Bette Davis in "The Private Lives of Elizabeth of Essex"